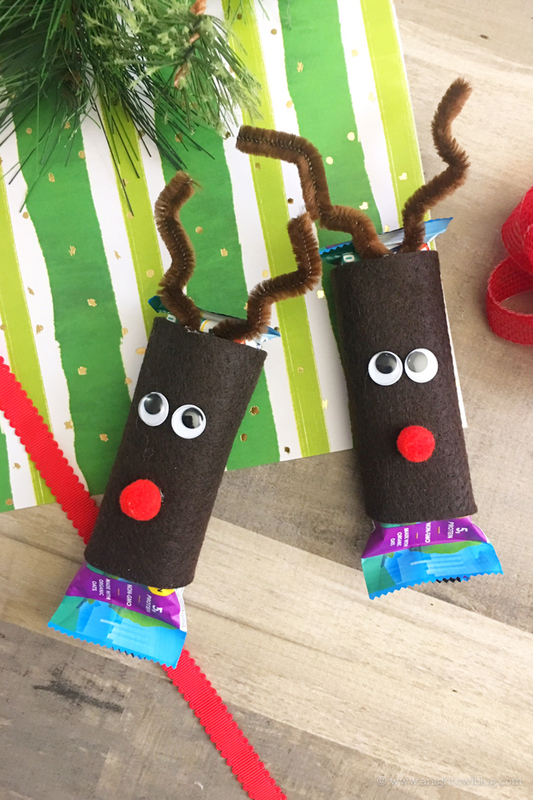 Bring holiday cheer to lunchboxes and after-school snacks with this clever and fun Christmas Snack Idea: Reindeer Granola Bar Covers! 1. 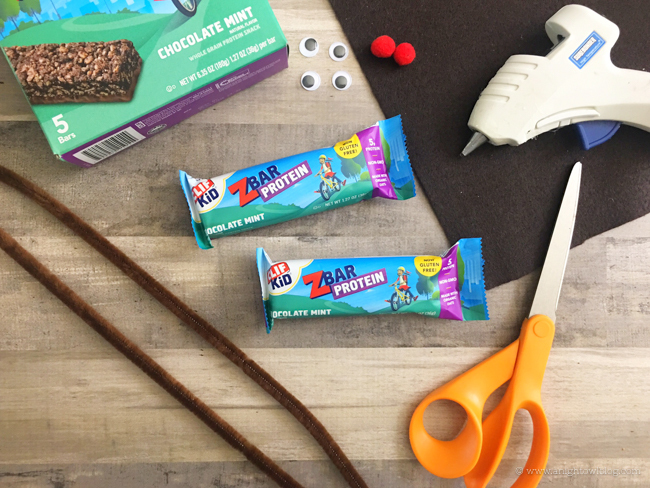 Lay a granola bar onto a piece of brown felt and cut the felt about 2″ shorter than the granola bar is tall. 2. 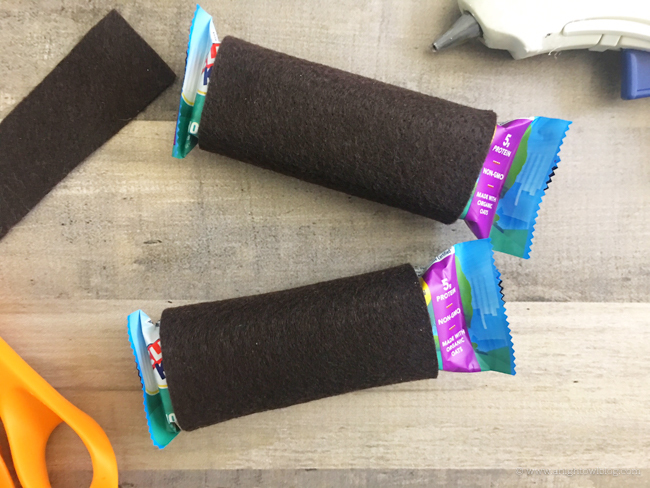 Lay your granola bar onto that piece of felt, wrap the sides over each other on the back side, carefully secure with hot glue and cut off any excess felt. 3. 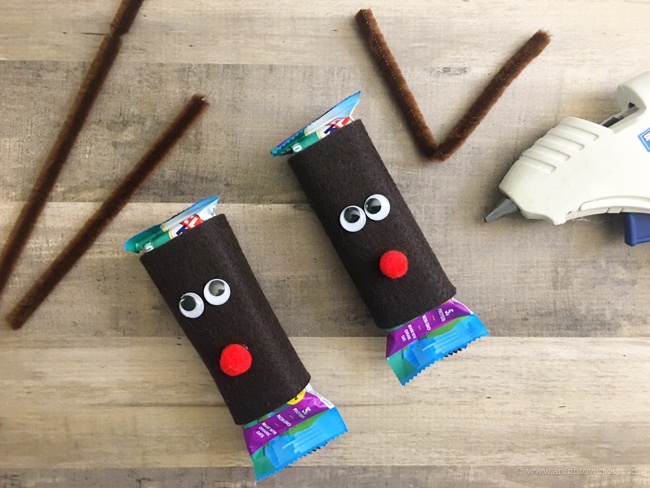 Turn your granola bar back over vertically and glue two googly eyes towards the top and a red pom pom ball about an inch or so below the eyes. 4. 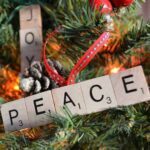 Cut a pipe cleaner in half, fold one piece in half, bend the sides to look like antlers and glue the center to the top backside of the felt and hold in place until the glue dries. 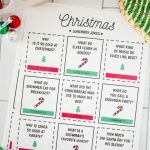 *these slide on and off and can be used over and over. Pure adorable! And super easy too. 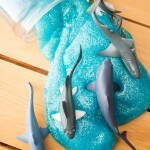 The perfect kind of project in my book. 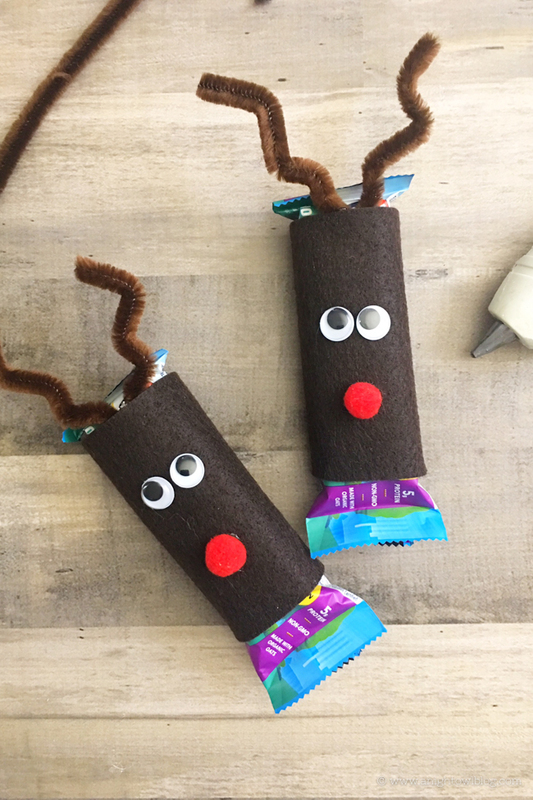 So if you’re in the market for easy Christmas crafts or fun things you can do WITH or for the kids, try out these adorable and fun Reindeer Granola Bar Covers. You’ll be glad you did.